General Motors’ Australian arm, Holden, is recalling over 26,000 examples of its Colorado ute (pickup truck) and family SUV because of an issue that can result in the vehicles catching fire. The recall applies to nearly every unit of the Colorado sold in the past 18 months. The problem: the Federal Government’s recalls bulletin states that “The Alternator B+ Electrical Cable may have been assembled in contact with a steel bracket at the battery tray” and that “under certain driving conditions the insulation on the cable may wear, resulting in the potential for an electrical short circuit to develop between the cable and the bracket”, thereby potentially catching fire and psoing a risk of injury to the vehicle occupants and other motorists. Holden says that drivers of affected vehicles may notice a battery warning light on the instrument cluster or “in more serious cases a small amount of smoke may be emitted from the engine bay area”. Holden has issued a “stop delivery” notice to dealers. It is also urging Colorado owners to bring their cars in for repairs. Holden says that five customers experienced “thermal incidents”. Affected vehicles: model year 2014 and 2015 Holden Colorado Ute (pickup truck) and Holden Colorado SUV made between September 2013 and January 2015. Affected Build Range is from MMU145DK0EH600244 to MMU156FK0FH616228. Number of affected vehicles: roughly 26,000. Owners should: expect a letter from Holden notifying them of the required action. Readers who do not live in Australia or are otherwise not intricately familiar with GM’s product in the region should know that the Holden Colorado range is comprised of the Colorado SUV and the Colorado ute (pickup truck). Both utilize the same platform and chassis, albeit with different bodies. 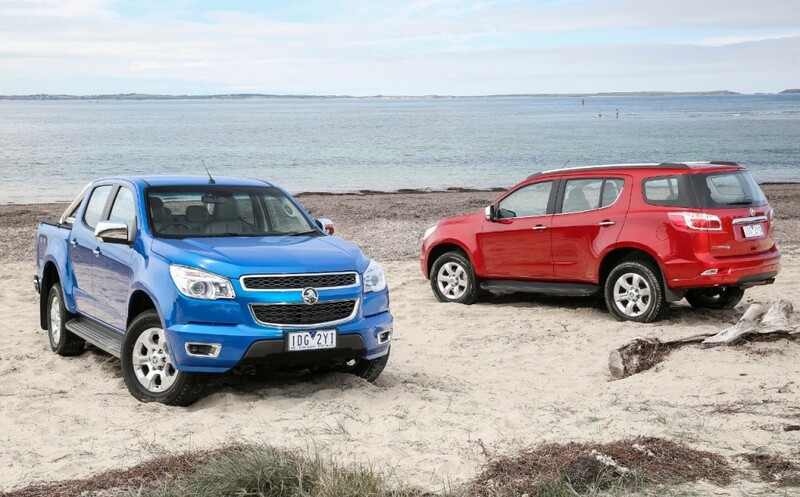 The Colorado SUV, also known as the Holden Colorado 7 (for its capacity of passengers) is otherwise known as the Chevrolet Trailblazer elsewhere across the Asia-Pacific markets. The Colorado ute/pickup truck is otherwise known as the international-market Chevrolet Colorado, which has little in common with the Chevrolet Colorado sold in the United States and Canada.